If you’re a small business owner, starting a website project or updating your current site can be a daunting task. Finding a new web developer or development company can be as stressful as a first date, with a proposal soon to follow. Thankfully this isn’t ’til death do us part,’ but a healthy business relationship is key to the success of both parties involved. To ensure the start of a great experience, we’ve outlined a research process to find the perfect web developer or digital marketing agency for your business. Once you’ve found a few potentials, you’ll want to view their online portfolio. This will give you an idea as to what level of quality you can expect, as well as their design aesthetic. First and foremost, look at their portfolio from a subjective point of view. Do you like their design work? Do you find their projects visually appealing and easy to use? Do their sites have a strong call to action, and are the marketing messages clear? If you like their design work and feel that their aesthetic matches the vision you have for your business, then check the credits of each project. Did they design and develop the project? In some cases, developers and agencies may work with a separate designer or hire and work with other freelancers. It’s important to find out exactly what was done on each project so you can gauge their experience and capabilities. If everything checks out, now it’s time to be objective and make sure their work is up to modern standards. There are a few quick tests that can easily be done. 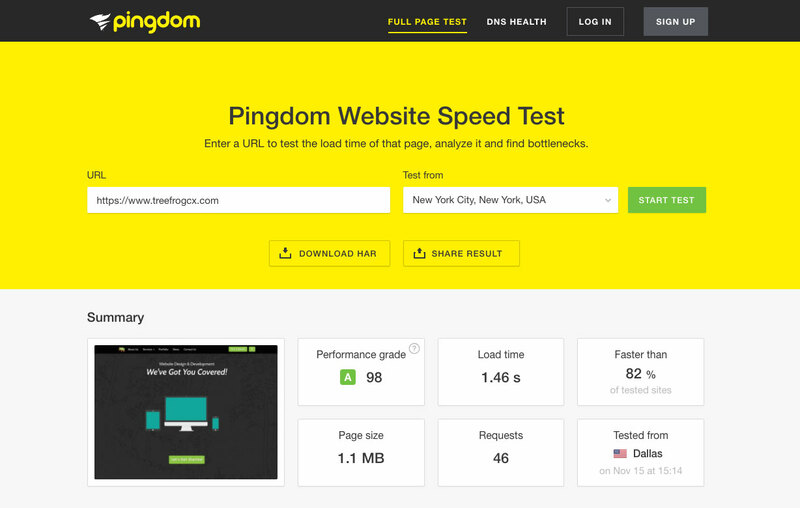 Make sure their portfolio websites are speedy. A fast site means that images and code were correctly optimized. Sites should score a 90 or higher. As we move towards a mobile-first era, all websites in the portfolio should be developed to be responsive. This means that the site’s layout is designed to change to provide the optimal desktop, tablet, and mobile browser user experience. 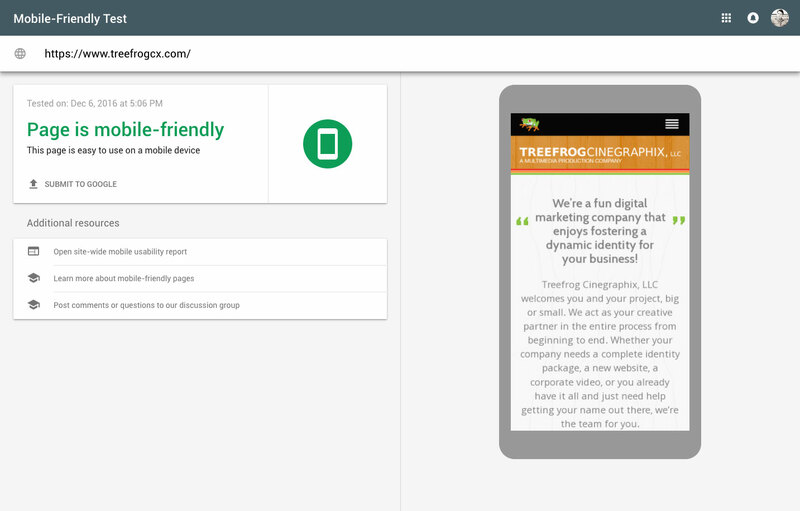 Google’s mobile friendly testing tool can quickly tell you if a site is responsive. Creating a search engine friendly website is critical for marketing your business online. 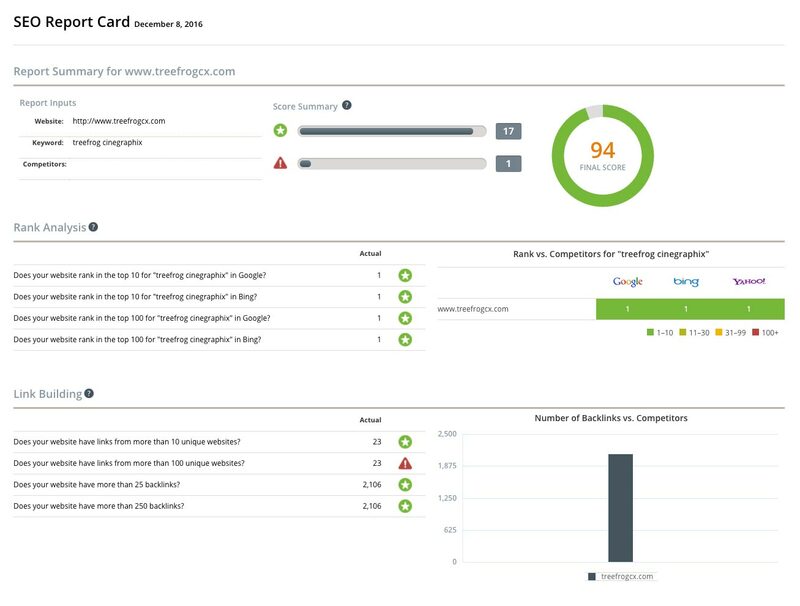 If a site scores well with our SEO Test tool, then you can be sure that the code and content of the site has been well developed. Did they explain things in terms you can easily understand? Were they timely and responsive with communication? Once you’ve narrowed down your list of potential developers, it’s time to set up a meeting. When sitting down to meet, it’s important to have a realistic budget in mind as well as an outline of your website’s goals, features, and purpose. In terms of the budget, be upfront and honest about your budget for the project. 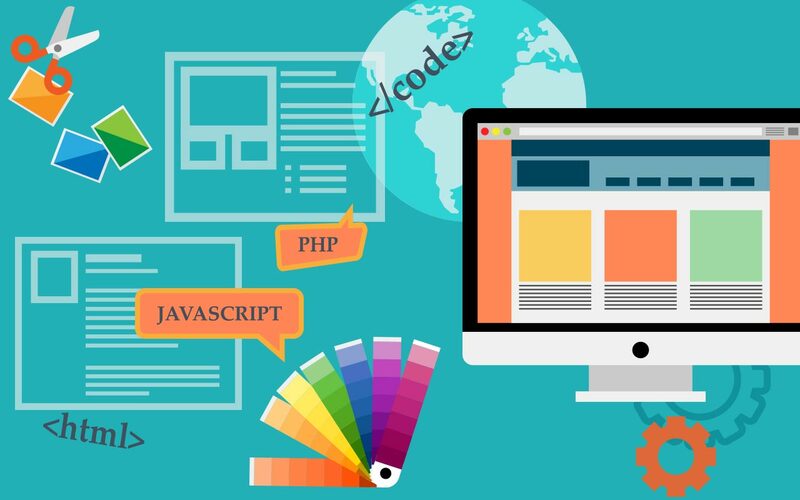 Most experienced agencies and developers charge an average of $100/hour and a fully custom website project can take 40 – 80 hours. These numbers can differ based on the skill level and scope of the final project. Figuring out the purpose of your website is important. Are you looking to generate leads by marketing a product or service? Are you wanting to sell items with an eCommerce store? Defining the purpose of the site helps the development team tailor a solution that can meet your business’ goals. We would also recommend listing any website features you may be looking for. This might be a product selector that helps users find a specific solution or maybe a mortgage calculator. Having this information together helps the developer or agency accurately quote the project and can avoid additional fees down the line. Once you’ve had a meeting and discussed the project, you’ll receive a proposal. Proposals often outline information in terms of what technologies will be used, project timeline, and pricing. Be sure to review it closely to be sure that everything discussed in terms of features and project scope are included. You may want to discuss future website maintenance, content updates, and site backups with the company you choose. Depending on your web proficiency, if the project is built in a CMS (Content Management System), you may have access to make content updates yourself. If so, make sure a training session is included. Another contingency to review is ownership. Be sure the proposal outlines who owns what when the project is completed. Many agencies and web developers retain ownership of the project until the balance is paid in full, and some companies use a proprietary CMS which may require continued support in financial terms. You will also need to outline hosting and domain ownership. Some companies have hosting and domain packages and can take care of this for you. Others may require you to purchase your own domain and hosting. All of this is important depending on how the business relationship progresses. If the relationship ever ends, then you’ll want to make sure you own what you need to keep the website going. At Treefrog, we know that any business relationship needs to be built on trust and we do our best to make every interaction enjoyable and stress-free. If you’re interested in working with us, feel free to contact us or use our project planner to get started.